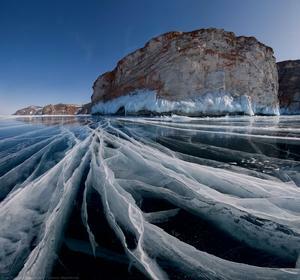 Lake Baikal is the the worlds oldest and deepest lake. Experts say that it is approximately 25 million years old (possibly older) and has an average depth of 744.4 meters (2,442 ft). Is apparently super tired... yawn. It is amazing to see how beautiful the nature that surrounds us is. This picture is just one of those moments. 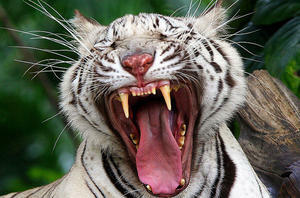 More info about the Siberian White Tiger can be found here. What a huge man–The mine is 525m (1,722ft) deep and has a diameter of 1,200m (3,900ft). 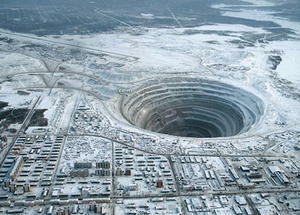 This massive diamond mine is located in Mirna, Eastern Siberia, Russia.